Contrary to predictions, gold of the Saigon Jewelry Company (SJC) slipped to VND12,160,000 a tael late Friday, a decrease of nearly VND30,000 a tael over yesterday. Meanwhile, gold of the Phu Nhuan Jewelry Company (PNJ) and the Vietnam Bank for Agriculture and Rural Development (AAA gold) were priced at VND12.07 million a tael, increasing by VND50,000 over Thursday. Local gold traders reported a slightly decrease in their sale volumes on Friday, contrary to the rising purchasing power yesterday. 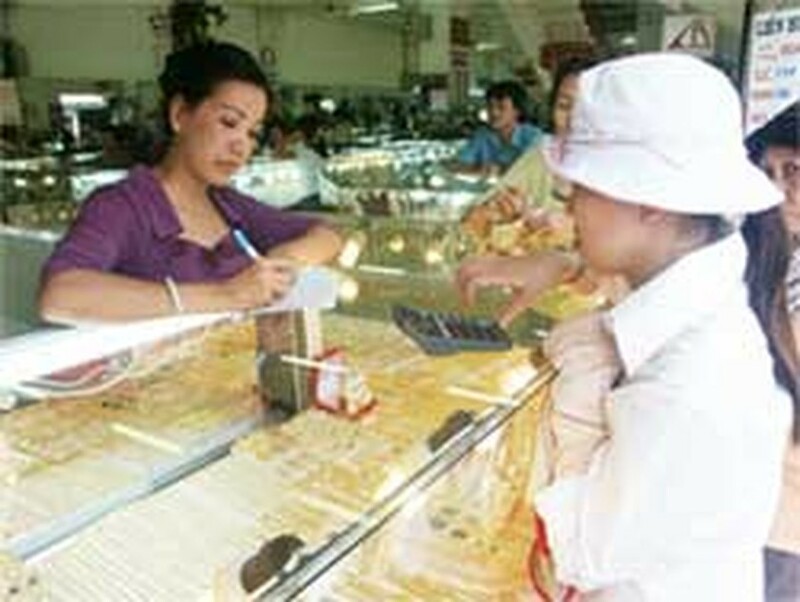 The domestic gold price was still VND360,000 a tael higher than the global one.